The Levant Area before removal for the sake of Holy Haram expansion was Meccan neighborhood near the Holy Haram. Some said the Levant naming was due to its location in the north; the side of Levant Country and others said it was attributed to Levant textile sellers existed inside the area in Al Suwaiq Market. 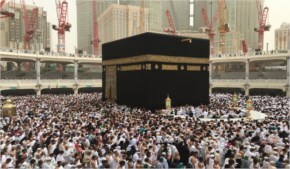 When King Abdullah decided to expand the spaces of Holy Haram for widening capacity of pilgrims and performers of Umrah, it was necessary to sacrifice the old Levant Area for the sake of the ultimate goal; the expansion of Holy Haram spaces in the north and western north sides with depth of 120m, taking into consideration the borders of lands, buildings, transportation, natural landscape of the location to prevent any sharp slopes may harm pilgrims and performers of Umrah. The Levant Area indeed got removed and substituted with the project of expansion aiming at developing an urban environment to conform with the nature of the Holy Haram. 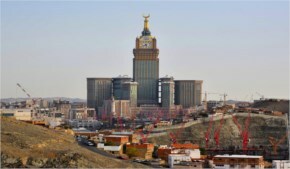 As well as completing the planned structure for developing the Central Area of Mecca City and restructuring transportation in order to expand the Holy Haram spaces for hosting larger numbers of prayers. Moreover, it is decided to secure safety of residents and visitors through splitting movement of walkers from car movement. 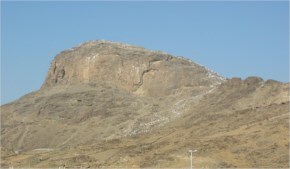 In addition to attempts of ensuring safe and quick exit for the crowd of pilgrims from the Haram north side and reducing urban development pressure in the area situated directly on the Holy Haram border as well as offering a link for the internal areas of Levant to get benefit of the urban development. These days, the project of expansion was totally accomplished and the Holy Haram capacity became one million prayers.